A good golf mat may still be no substitute for the real deal, but it can be pretty close if you choose one of the best ones out there. 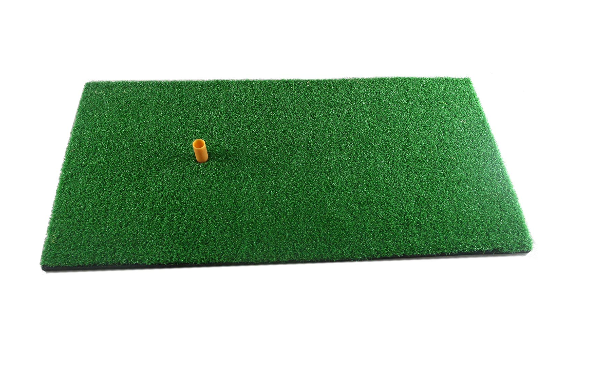 Modern technology has brought golf mats to a level where they can be almost functionally identical to grass. Not every mat is made with high quality standards, though, so make your choice wisely. We’ll show you how to sort through what is out there and find a golf mat that is worth the time and money. You don’t need to settle for a low-quality mat that isn’t going to train you on how to hit the ball. Read on to find out what to look for and what common mistakes to avoid. Having a decent golf mat is the difference between almost playing on grass and playing on a surface that is nothing like grass. Just because it looks like grass doesn’t mean it will offer the same characteristics. 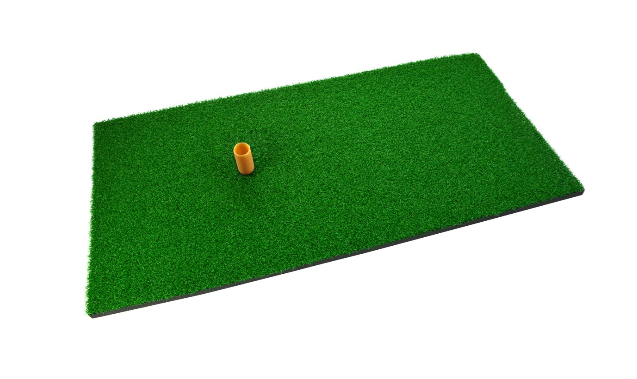 The closer you can get a mat to actual grass, the better your skills will be when you go out on the course. You may not get to go out on the golf course as often as you would like, and having a high-quality mat to practice on can be the next best thing. Just be sure you use a high-quality mat for the best experience. Now that you have a better idea of how to find the best golf mat, we want to show you our top picks for mats. This one is small, simple and affordably priced. It’s the perfect golf mat for a golfer on a budget, but it is missing some features that you might feel you can’t live without. The tee holder is not adjustable, and the mat is a bit on the firm side, but it’s otherwise a very decent mat, especially for that price point. Tee holder cannot be adjusted. 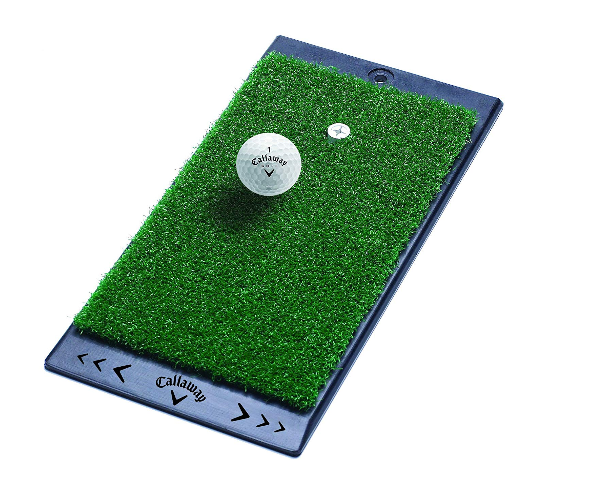 This mat from Rukket offers a far more comprehensive golfing experiencing. 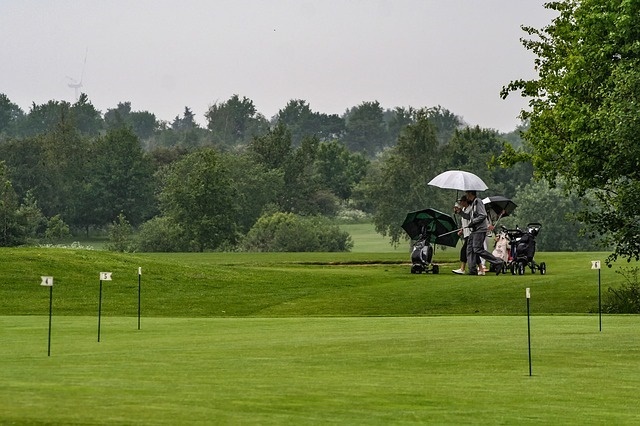 It aims to replicate as much as possible the look and feel of actual grass, even providing you with rough and fairway conditions. The sloping portion is just another great feature that makes it stand out among the many flat mats its competitors are offering. The price is far steeper than something that’s much simpler, but you are getting what you pay for here. A great imitation of course conditions. Different kinds of course features. Maybe too complex for your liking. This is another very simple, very inexpensive mat that is a good buy for anyone who isn’t wanting to spend a lot. It is meant to imitate real course conditions as much as a cheap, synthetic mat can. It comes with a no-slip foundation that makes for a frustration-free experience. It’s also quite small and designed to be portable, so you can play with it practically anywhere there is enough room to swing a club. Compact size makes it portable. You should consider going with this mat if you want something high quality that isn’t overly expensive. It’s more expensive than anything else on this list, but it doesn’t reach into the hundreds of dollars that some competing mats do. It retails for around $60 and offers a fair imitation of course grass and conditions. It’s a bit larger than some of the options we have listed so far, so it gives you more room to play with, and you will have to decide for yourself if that is something that appeals to you and is worth the extra cost. The size is really the only major feature this mat has over the other ones listed here. The foundation is made of foam rubber to keep the mat from slipping, and the upper surface is excellent for hitting the ball without interference. High quality materials that will last. Will cost you more than average. It wouldn’t be a golf equipment buying guide without mentioning a Callaway product. This one is better than most of the competition, though it is a lot smaller too. It’s just a simple strip that lets you line up your shot and focus on a small area. The incredibly small size means that it is portable and designed to be used anywhere you can swing your clubs. Its affordably priced at somewhere around $20 at most retailers, and we recommend it if you are limited on space for your practice golfing. A great use of space. Quality materials that should not wear out too fast. Stop and think before you click that “Buy Now” button. There may be some factors you need to consider before buying a mat, and you want to make sure you are getting the best possible mat for your money and your needs. Size- Your golf mat doesn’t have to be very big. According to rukket.com, it only needs to be big enough to hit off of. Your golf club should be able to strike the mat if you miss your ball, but other than that, a large mat is only going to be for aesthetic appeal. It can look nice to have your golf practice area filled with a green mat to imitate golf course conditions, but that isn’t necessary. It’s up to you how large you want your mat, but you should know that bigger mats are not necessary. Material- There are several different materials that your mat could be made from. You want something that isn’t too rough on your golf clubs and other equipment, but you also need a mat that is firm on the bottom. A firm mat gives you support and allows you to practice in ideal conditions. It also prevents slippage. You should consider the different options before you settle on a specific material for your golf mat. Consider Buying a Bundle- In many instances, it is cheaper to buy a golf mat that comes bundled with a net and other training equipment. That way, you can get everything you need in one package and not have to worry about shopping for everything separately. This is often a good money-saving method, so long as all the items are of decent quality. 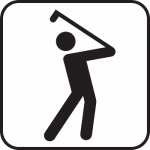 Know the Difference- Keep in mind that hitting off grass and hitting off a mat will not produce the same results, as Trackman Golf has demonstrated. That is something you need to be aware of and try to account for when you practice. 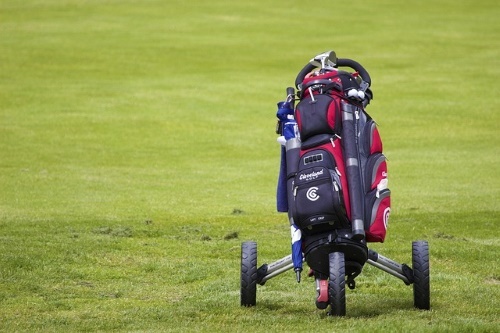 Having a mat is great for when you can’t go out on the course, but you may need to adjust the way you play slightly for when you play on grass. No matter how good a synthetic mat is, it will never equal the real deal. As you try to find the best golf mat, keep in mind that some people buying these make mistakes with their decision. Ill-Fitting Tees- A lot of mats come with built-in tees, but you need to be careful that yours is not the wrong size, advises Golf Info Guide. Otherwise, you won’t be hitting at the right height for you and your practice sessions will be frustrating and unfruitful. 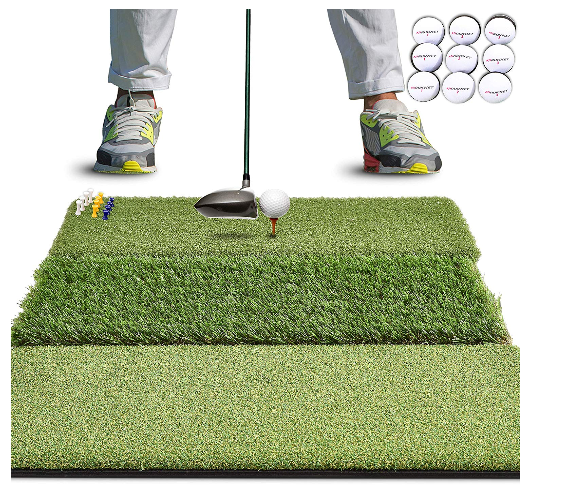 Look for mats with adjustable height tees to fit your playing style and height. These cost a bit more, but they are worth it for the added convenience and accuracy. Mats That Are Too Hard- You also want to avoid buying any mats that are too hard. You need one that is firm on the bottom for a good play experience, but if the entire mat is overly hard and synthetic, it won’t offer a very good approximation of a golf course. It will be too stiff and create an experience that is very dissimilar to playing on grass, causing your ball and club to react in odd ways. Mats That Are Too Soft- Conversely, you want to be careful of mats that are too soft. These affect your club and ball in a different way, especially if you don’t hit the ball square. For a more accurate representation of how an actual golf course will play, get something that lies somewhere in the middle. Using Different Mats- Some people have the luxury of buying multiple mats and having place to set those up, and we recommend against using different mats in these instances. No two mats will work for you the same way and give you identical results. Once you realize that, you will want to be careful about using multiple brands or types of mats, as that can throw off your game and make it hard to practice consistently. It’s not a bad idea to practice on mats every so often. It’s a lot easier on your clubs, but a high-quality mat is always the best way to go. Hopefully, you will be able to find a good one for your use from what we have shown you in this article.